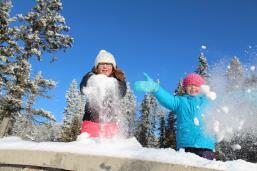 We all know Riding Mountain as a hot spot in the summer and fall. But this gem of a national park deserves company year around. Make 2017 the year you do winter in the park, and there’s no better weekend to do that than February 10-12, 2017. Coined a Canada 150 kick-off event, Winter Adventure Weekend has a roster of activities planned like outdoor bonfires with s’mores, winter Olympics, boot hockey, skating trails, and a heritage hockey game on Clear Lake. Or, if you’re so inclined, skip activities and just explore the beauty of the park’s back country under snow. In collaboration with Parks Canada and the creators of the award-winning RAW:almond pop-up restaurant, Frontiers North Adventures is launching RAW:churchill to celebrate Canada’s 150th, an exclusive culinary adventure in Churchill taking place March 3-11, 2017. Intrepid foodies embark from Churchill on an official Tundra Buggy® and travel across the frozen Churchill River to Prince of Wales Fort National Historic Site, a former Hudson Bay Company fur trade fort that played a key role in developing Canada during the fur trade. 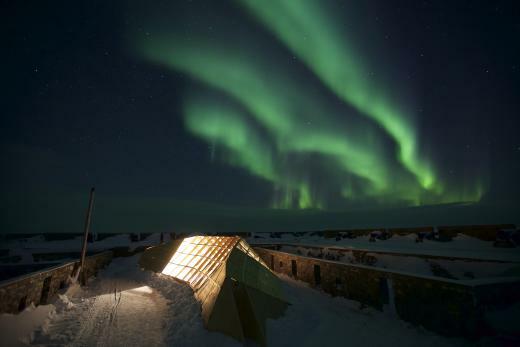 Once there, protected from weather and wildlife by the fort’s thick stone walls, diners enjoy a world-class meal (inspired by ingredients of a fur trader’s diet) in a heated ‘pop-up’ restaurant that has been designed purposefully with a transparent roof to view the northern lights. Post-dinner, guests complete their adventure with a chance northern lights viewing from the warmth and comfort of the Tundra Buggy. You can’t get any more Canadian that this adventure. 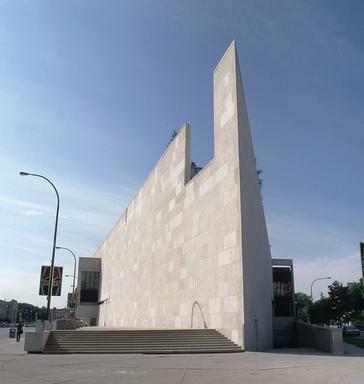 The CMHR has two signature Canada 150 exhibits this year. Running until May, 1867: Rebellion & Confederation is a collection of artifacts from different institutions across Canada that tell the story and struggle of forming a responsible government. The exhibit include remnants of items found in the ash from the 1849 burning of Parliament and the pocket watch of Sir John A. McDonald, Canada’s first Prime Minister. Points of View photo exhibit opens Canada Day (July 1) to show off the winning results of a nation-wide photography contest . The winning images will reflect themes in four categories – freedom of expression, inclusion and diversity, reconciliation, and human rights and the environment. 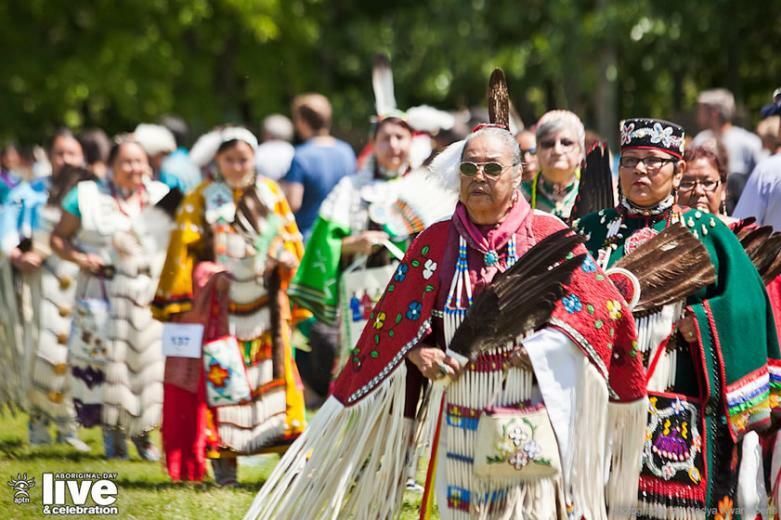 For ten years, Aboriginal Peoples Television Network (headquartered in Winnipeg) has marked National Aboriginal Day with Aboriginal Day Live, a celebration and nation-wide broadcast of Aboriginal music and cultural acts that happen at The Forks in downtown Winnipeg. In 2017, the Aboriginal Day Live broadcast on June 21 will expand to include celebrations at seven urban centers across the country, offering a truly national Aboriginal perspective on Canada 150. On July 1 Canada Day, elite athletes will embark on an epic journey of 150 miles across the rich beauty of the Canadian Shield in Manitoba’s Eastman region. 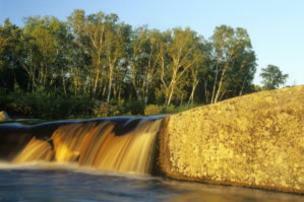 This year’s Canada 150 Ultra Marathon course begins alongside the powerful Winnipeg River at Great Falls, taking you for a tour of the historical hydro electric dams along the edge of the Canadian Shield until participants are deep in the woods and skirting across pre-Cambrian rock faces. The finish line is at the south east end of Falcon Lake in Whiteshell Provincial Park, descending the ski hills of Falcon Trails Resort. 2017 is the 50th anniversary of the Canada Summer Games—the country’s premier multi-sport event for young athletes—and Winnipeg is the host city for this memorable year. Featuring 16 sports and over 250 events, combined with a major cultural festival, the 2017 Canada Summer Games will bring together over 4,000 athletes and coaches and more than 20,000 visitors from coast to coast to coast from July 28-Aug 13, 2017. As the countdown to the games continue, check out www.2017canadagames.ca for updates on special announcements and events. Gimli, a resort town on the west shore of Lake Winnipeg renowned for its Icelandic heritage, is opening Viking Park in August during the town’s annual Islendingadagurin Icelandic Festival. 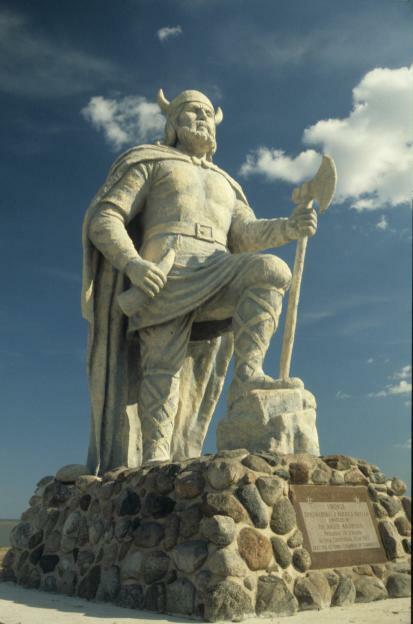 In 1967 (for Canada’s centennial) a mighty Viking statue was erected and has watched over the town for 50 years. In 2017, Gimli will further develop lawns around the statue, designing three major gardens replete with mythic trolls and elves from Icelandic culture. The park will become much more interactive for visitors to understand the area’s proud Icelandic roots. 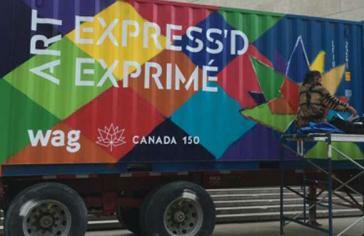 Over the summer, three mobile art studios made from 20-foot metal shipping containers will traverse every province and territory via train, truck and cargo ship, stopping in 15 communities en route, ultimately converging in Winnipeg, the heart of the country. Each mobile studio is staffed by a contemporary artist, and will travel one of the three routes—southward, eastward, and westward—to lead collaborative art-making projects inspiring the public to express their visions of Canada. ART EXPRESS’D shows off Canada’s unique natural geography and cultural diversity, while also honouring our deep-rooted history of travel, transport, exploration and communication. Selkirk, Portage La Prairie and Steinbach are three Manitoban communities (out of 150 communities from across Canada) selected to be part of the Canada 150 Mosaic Project. The project will create 150 mosaic murals across the country that represent Canada’s history. Community members will work together to create an 8×12-foot ceramic tile mural made up of approximately 600 hand-painted tiles. Each tile depicts a small story, and when placed together, create one big iconic Canadian image. Check out the full list of signature Canada 150 events organized across the country on The Government of Canada’s website here or download the Passport2017 app. 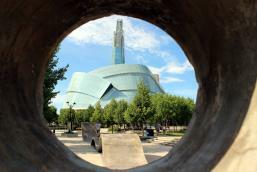 Know of any other Manitoba events or initiatives related to Canada’s 150 celebration? Please fill us in on the details.